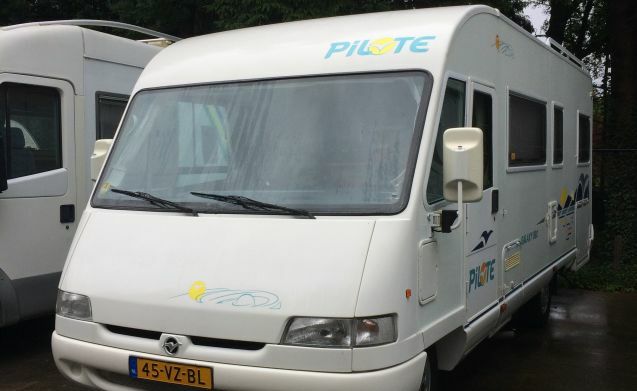 Make your summer vacation a comfortable holiday in this spacious 4 person Pilote. 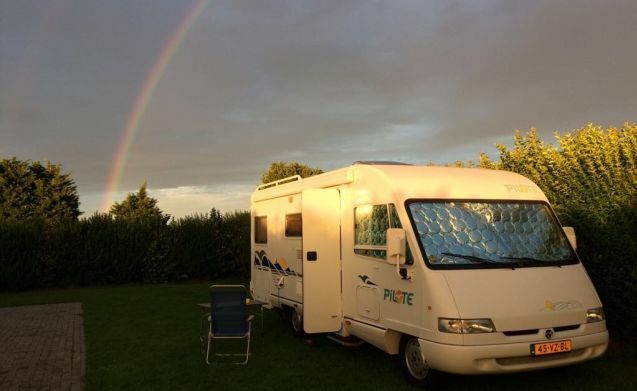 This struise French lady is equipped with a very reliable 2.8 TD Fiat engine. 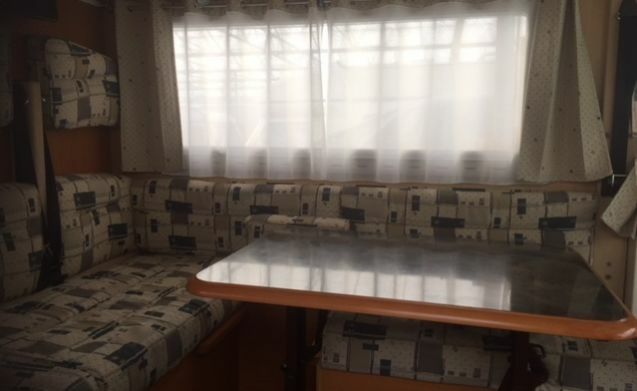 To make everything even more comfortable, the cabin is equipped with air conditioning, and the camper is equipped with air suspension. The seating area consists of an L-shaped sofa with 2 belt positions. 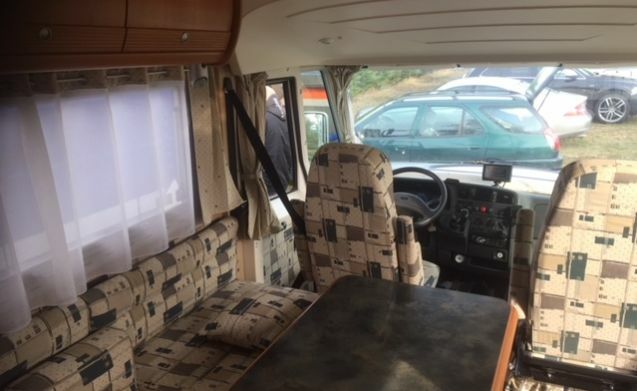 The driver's seat and passenger seat are rotatable and therefore also part of the seating area. There is a fixed TV in the seating area. Unfortunately, the satellite dish is temporarily defective. 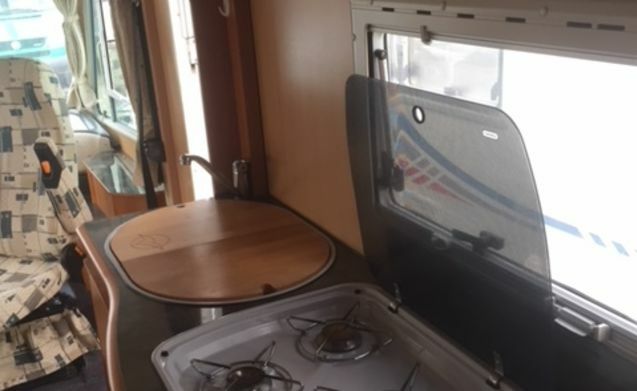 The kitchen is fully equipped and there is plenty of cutlery, plates, pans, etc. for four people. A fridge with freezer is of course present. 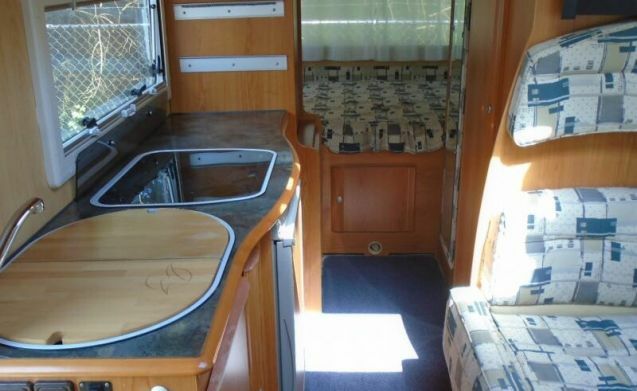 Under the fixed bed is a spacious garage, where you will find four comfortable camping chairs, camping table and a sun bed. 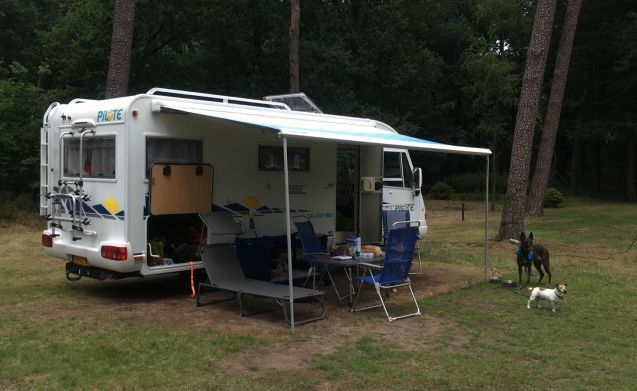 The camper has a large awning over the entire length under which it is nice to stay. Is the surface more difficult than is in the garage also a rug to sit outside. 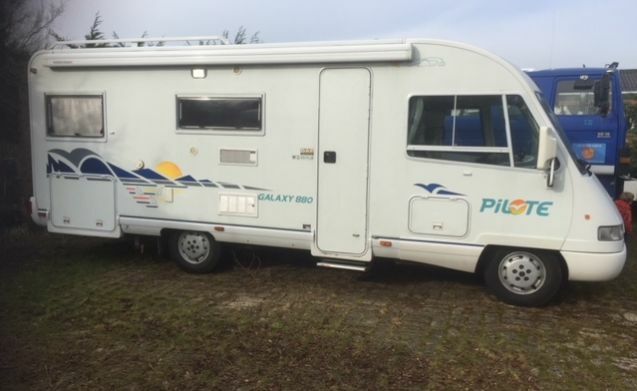 At the rear the camper is equipped with a bicycle carrier for 2 bikes. Celebrate holidays in enjoying everything you see around you. 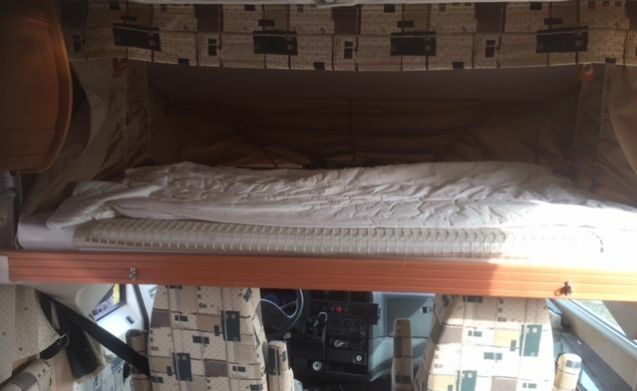 That is why our camper prefers to drive at speeds between 90 and 100 km per hour. 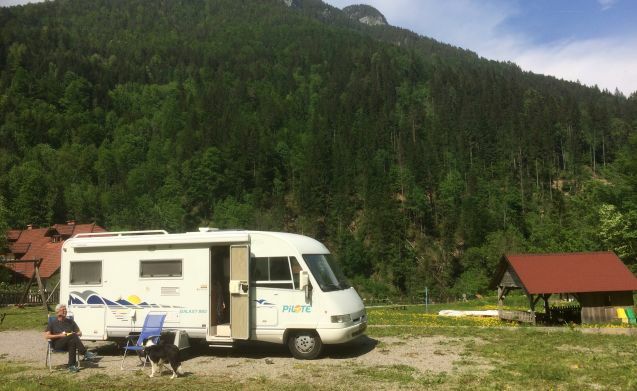 In recent years, our camper has proven itself especially in the Ardennes, Eiffel, Black Forest and Alps. Here she has proven that also slopes of 15% are no problem, although you have to return one or two gears. But upstairs she comes without problems. 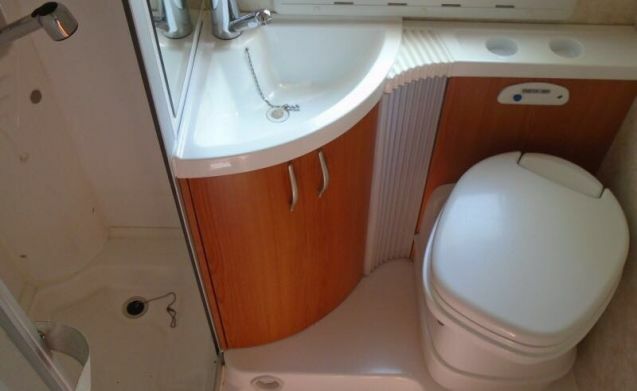 In other words, if you want to enjoy Europe in a quiet way with the necessary luxury on board, then our camper is certainly a good option. This camper is in the Camperhotel. 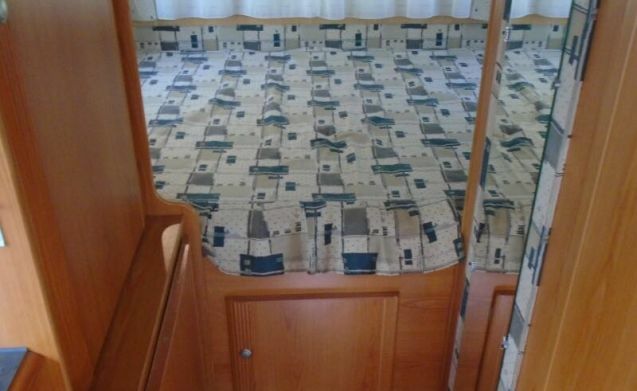 The owner of this camper is not able to actively rent the camper. 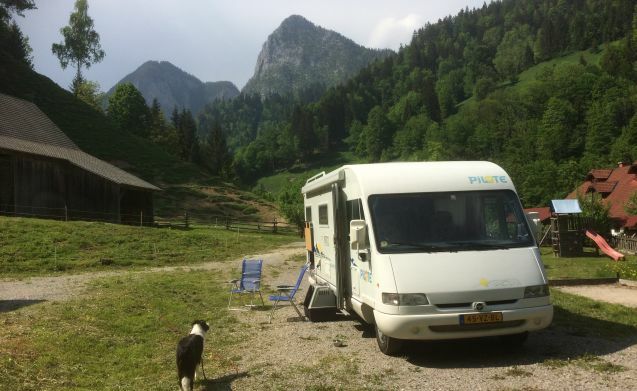 He would still like to share his camper with others and therefore decided to have the camper managed by the Camperhotel. 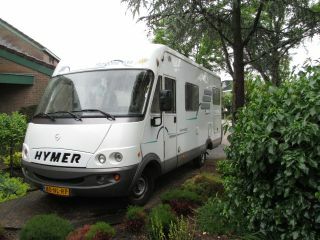 The collection and delivery of the camper are carried out by Norbert and Pieter from the hotel. The contact is mainly with employees of the hotel.